Townplates. 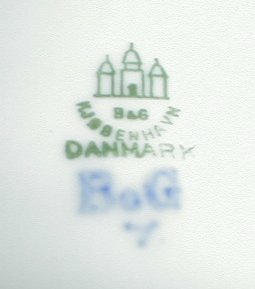 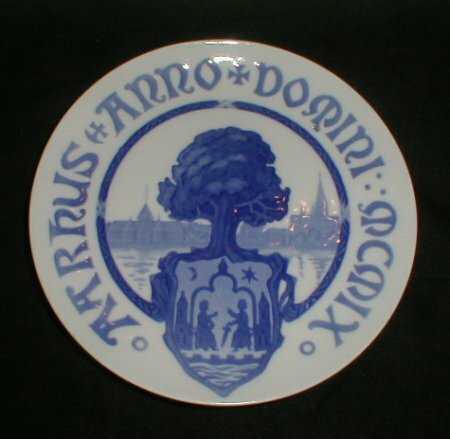 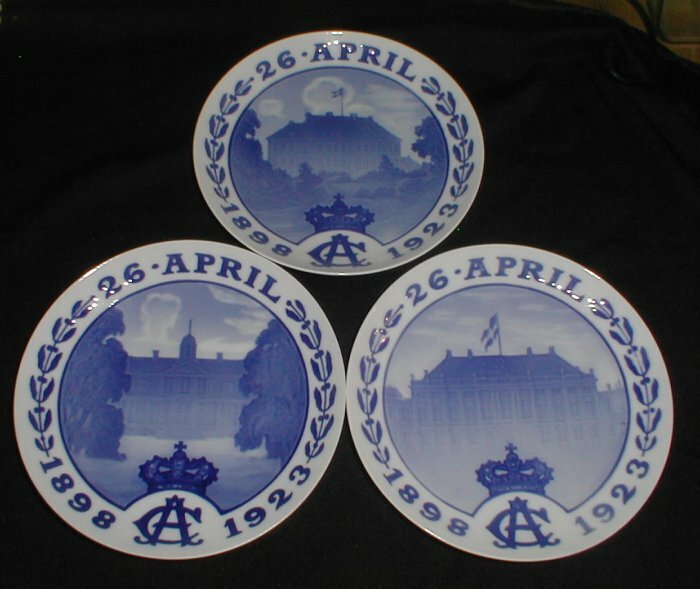 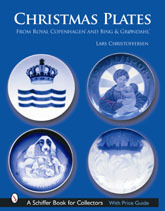 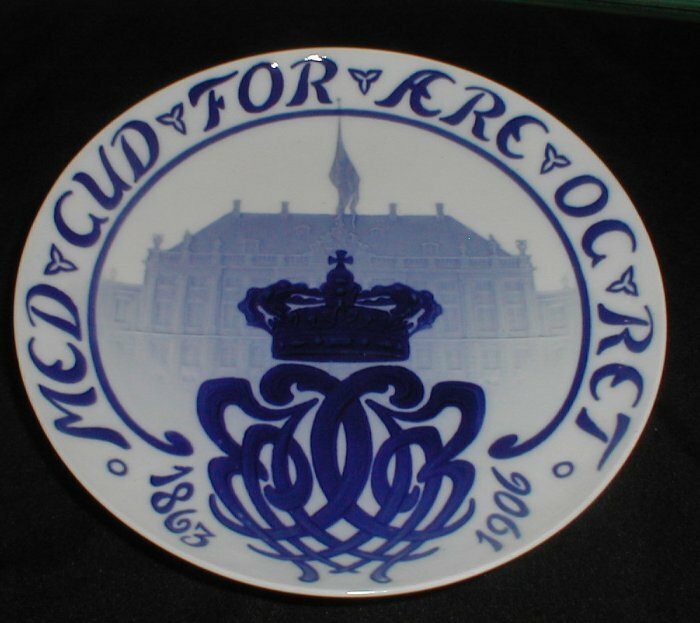 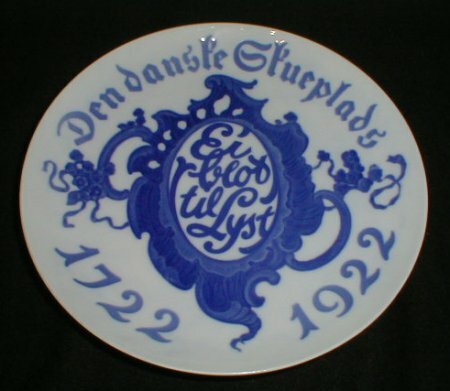 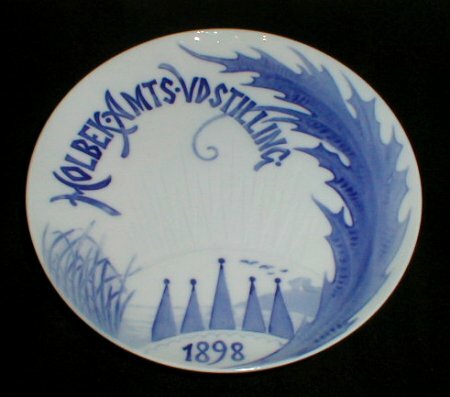 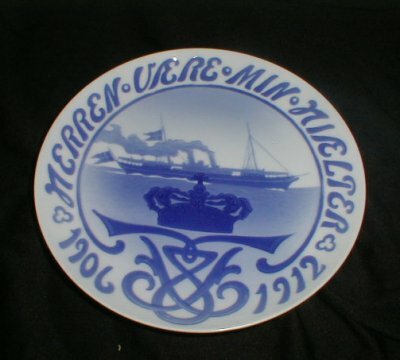 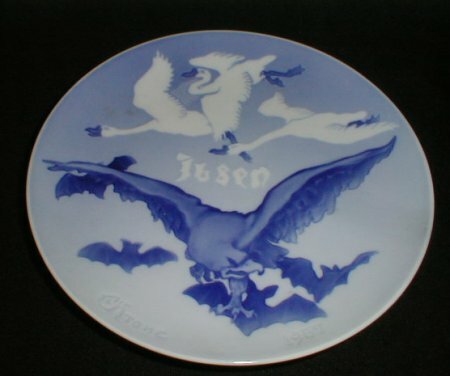 A series of Town plates with the coat of arms of different Danish towns. 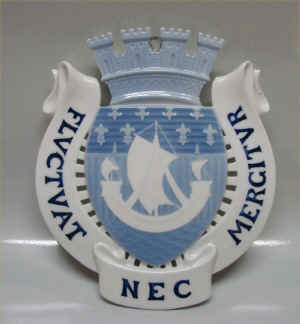 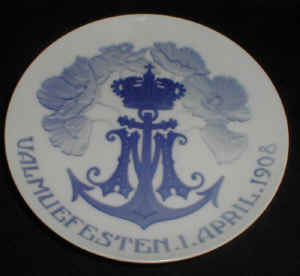 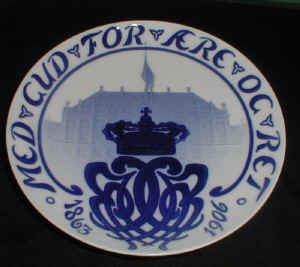 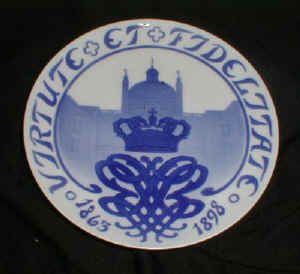 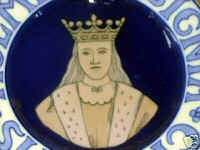 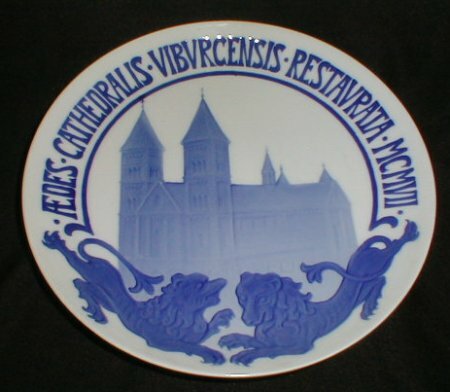 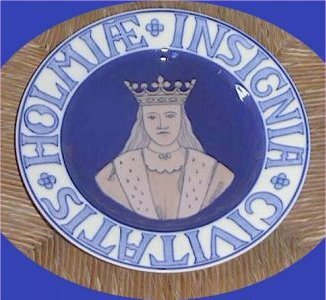 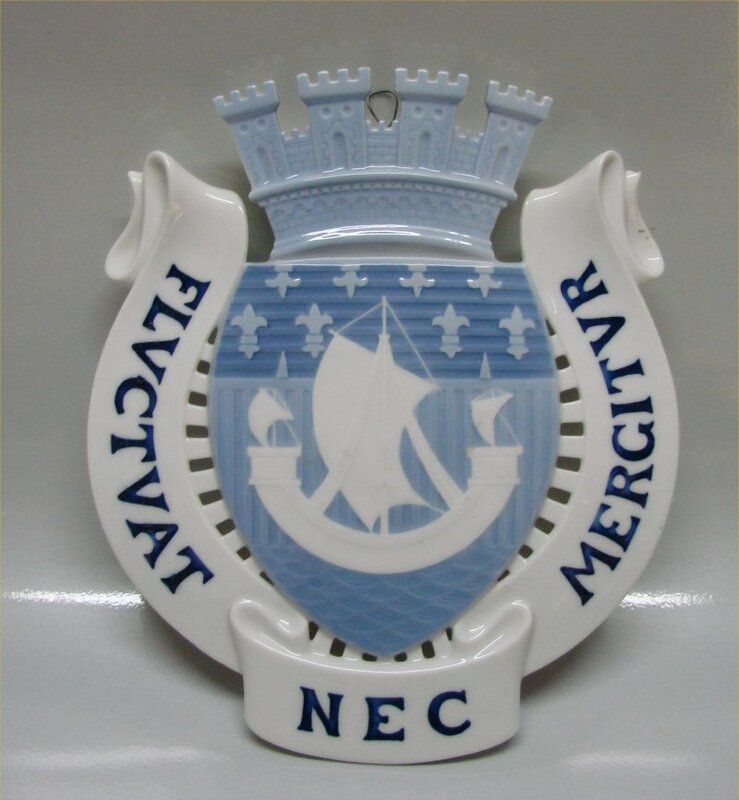 Example: Roskildensis Insignia CIV. 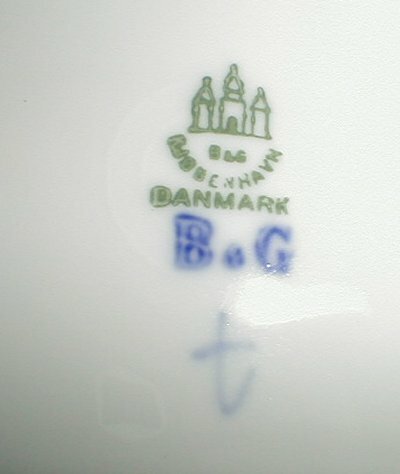 Roskilde. 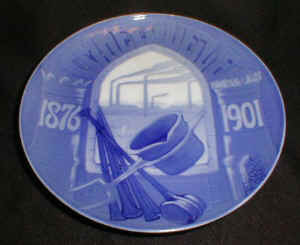 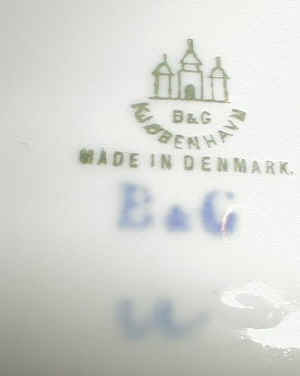 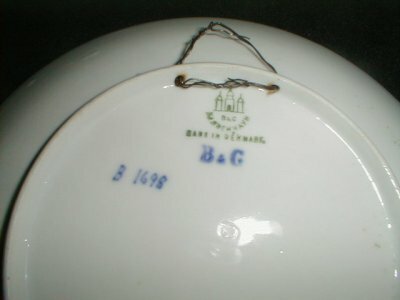 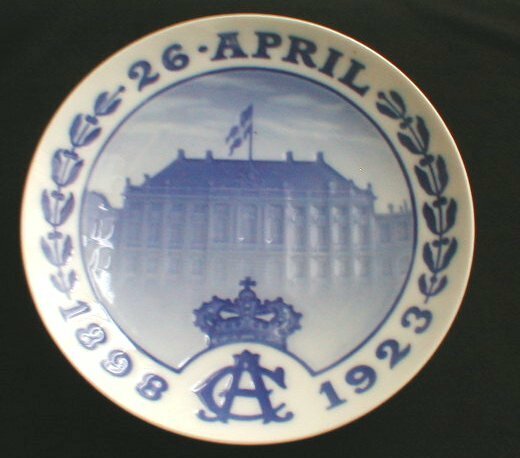 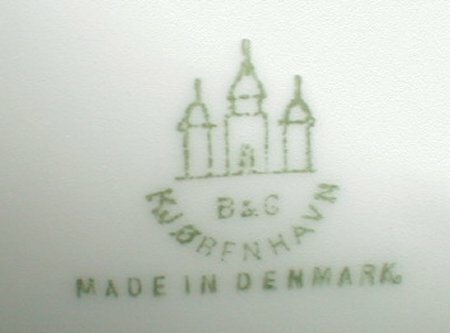 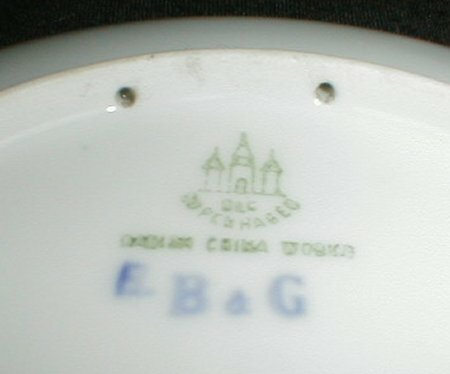 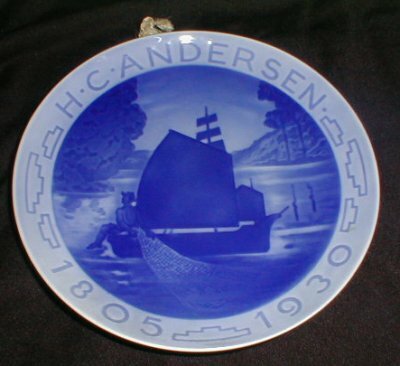 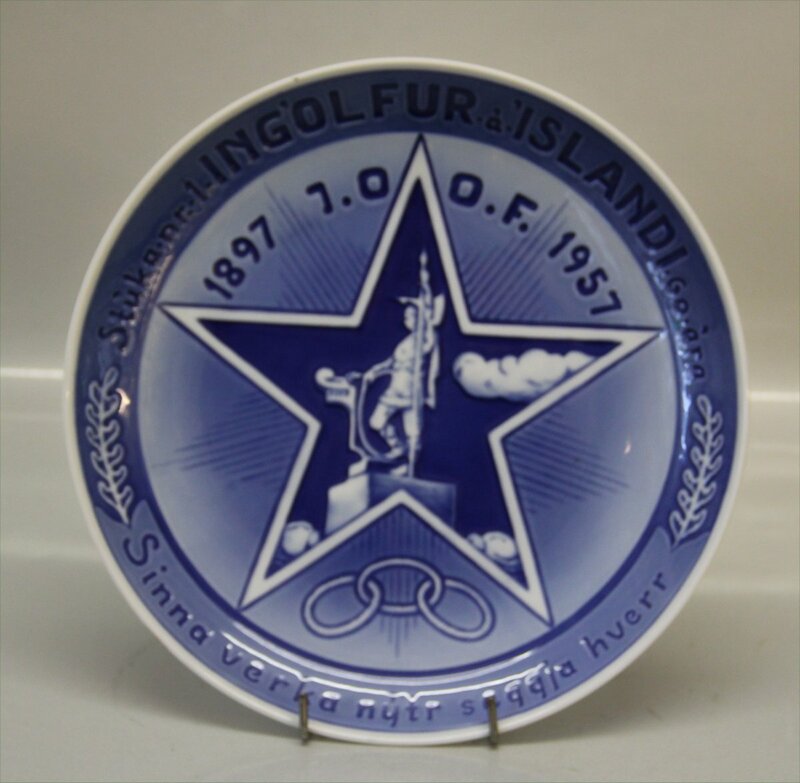 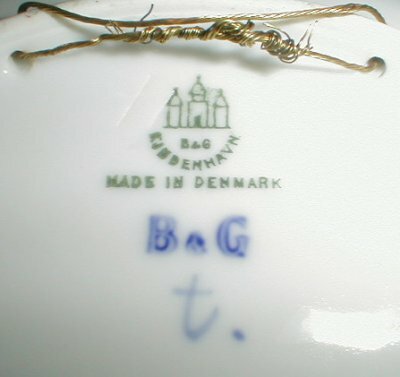 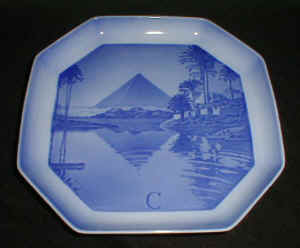 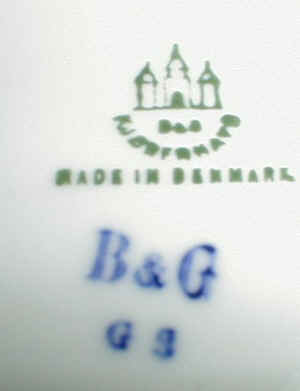 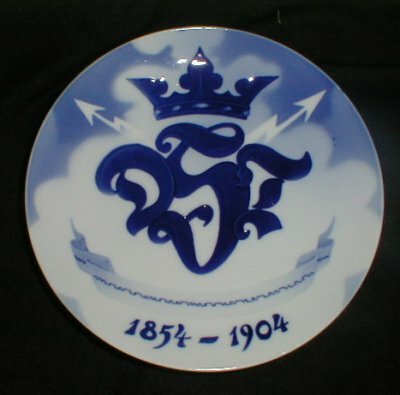 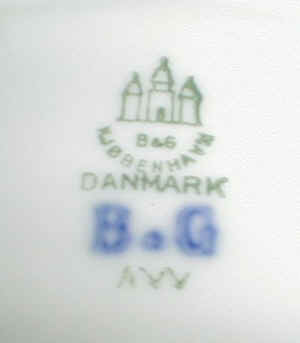 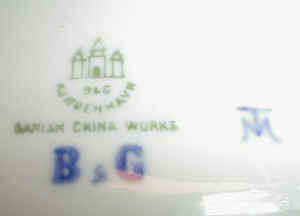 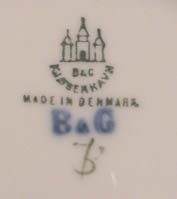 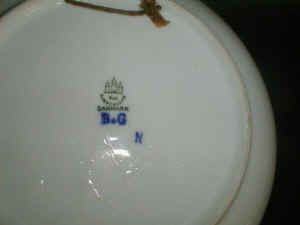 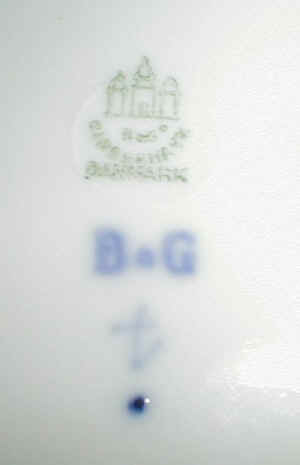 Marked Danish China Works Copenhagen B&G. 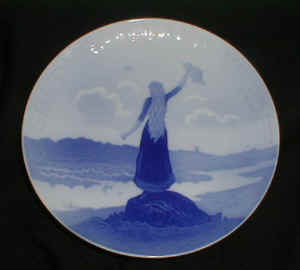 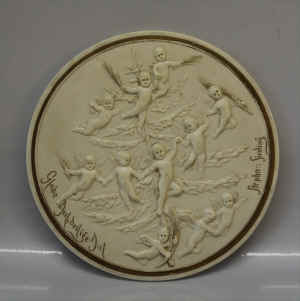 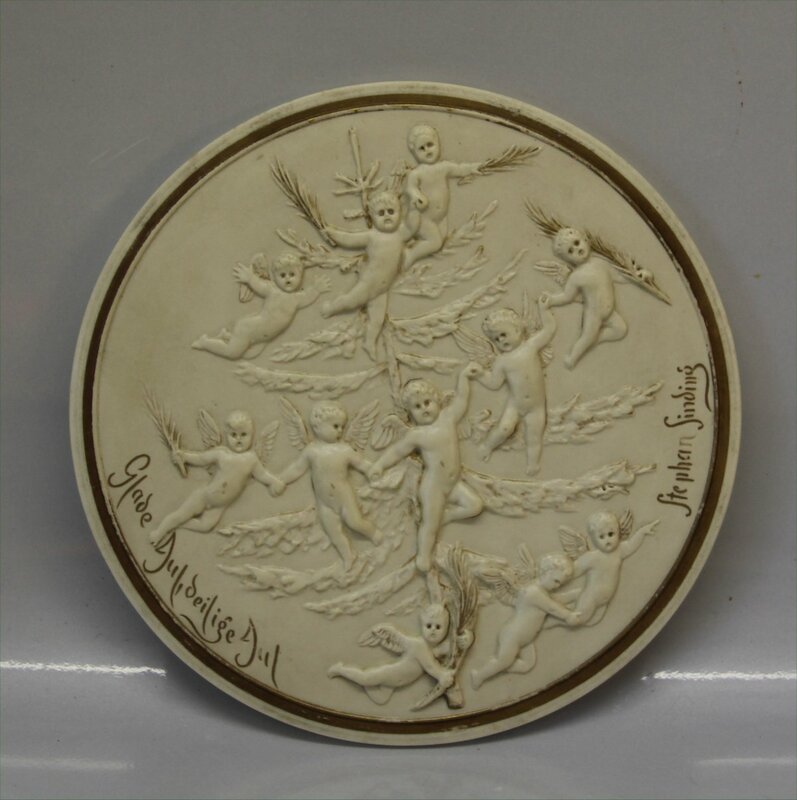 Signed in Mono by Effie Hegerman-Lindencrone (1886-1942 at B&G) 23,5 cm. 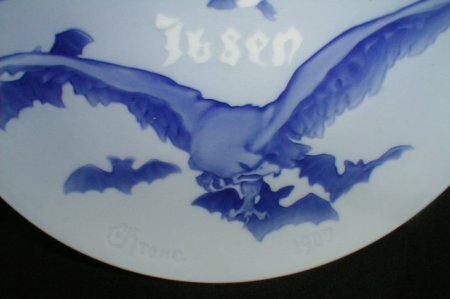 8-edges plates, 19.5 x 19.5 cm. 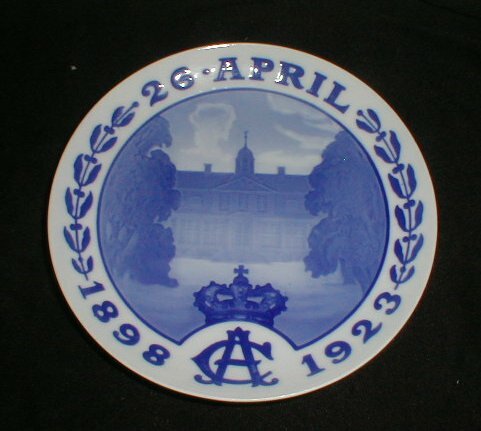 A series of 8-sided were designed by Ove Larsen and produced 1933/34 - our theory is that there were issued one for each letter in the alphabet.